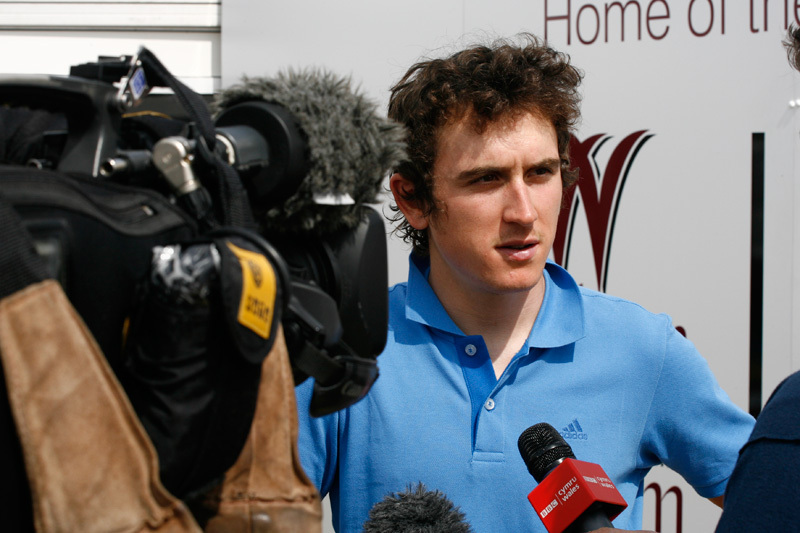 Team Sky’s Geraint Thomas has given his support to the Etape Cymru cyclo-sportive, which takes place in his native Wales on Sunday, October 9 2011. Thomas was on hand at the recent Eisteddfod Festival to help promote the sportive event, which is only the second mass participation ride to be run on completely closed roads in the UK after the Etape Caledonia in Scotland. “The Etape Cymru is one of the toughest closed road events in Britain and as a proud Welshman I am delighted to support it,” said Thomas. The event starts in Wrexham and takes in several iconic North Wales climbs including Horsehoe Pass, The Garth, The Shelf and World’s End in the picturesque Clwydian Range. Thomas rode part of the course and took part in the Horseshoe Pass challenge. Sam Harrison had previously set the fastest time of 14-27 on the famous 6.1km climb, but was bettered by Thomas who posted 14-22. Entry to the Etape Cymru costs £65, which includes a goodie bag and event gilet, and a free British Cycling Ride membership worth £24. Existing British Cycling members pay a discounted entry fee of £53. Entry closes on September 16. Etape Cymru is supported by Tweeks Cycles, Wrexham Council, Denbighshire Council, Welsh Assembly Government and North Wales Tourism. Thomas is currently riding in the Eneco Tour. He put in a strong performance in the Tour de France in July, wearing the white jersey of best young rider in the opening week for the second year running. Can you beat Thomas’s time up the Horseshoe Pass? 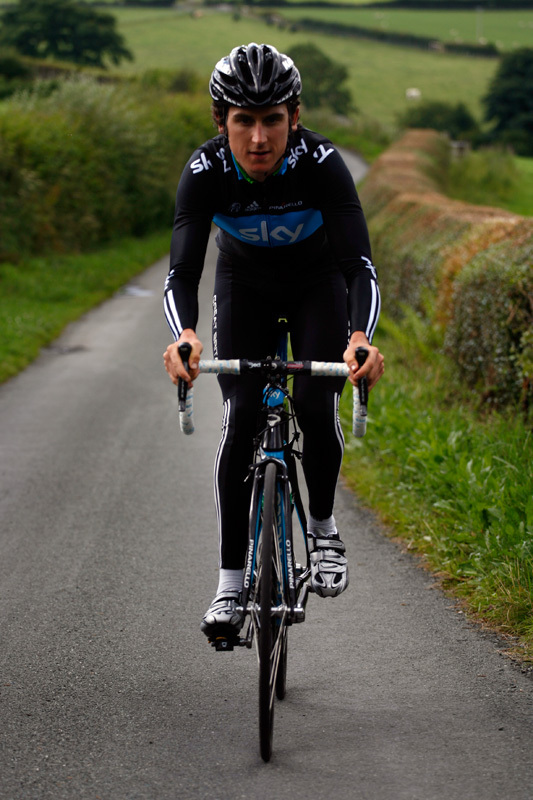 Watch out for a forthcoming ride feature in Cycling Weekly magazine with Geraint Thomas on the route of the Etape Cymru.